There's actually a very good reason. A dog's life is filled with simple pleasures. There's you. There's treats. There's toys. And there's always a little more room for you. But some keep it even more simple: There's just the one toy. 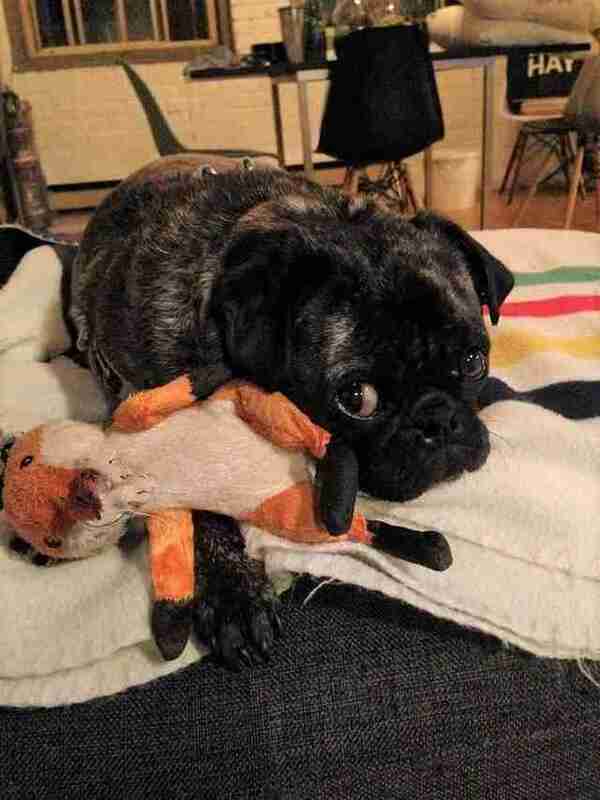 We've certainly seen one-toy pets before - dogs like Rudy, who can only get into a very particular stuffed fox from Ikea. But for the most part, a dog's obsession with a certain toy is its own sweet mystery. Is it the smell? The texture? The shape? Color? Size? "There's no one-size-fits-all reason for why certain dogs might decide on a favorite toy," Erika Loftin, veterinarian and critical care specialist at DoveLewis Emergency Animal Hospital, tells The Dodo. 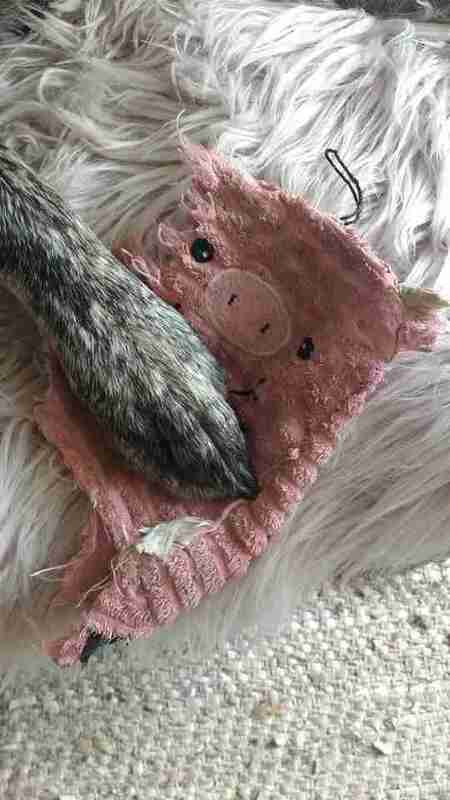 We do know that dogs can get really attached to a toy that reminds them of a puppy. Think of a child who wanted to care for a baby doll. "Some dogs, female dogs in particular, might bond with something that's like a surrogate for a puppy," Loftin explains. "They mother it, they carry it around, and they get attached to it that way." Mothering a toy is one thing. But tearing it to shreds? Well, some dogs with high predatory drives - terriers, cattle dogs and hounds - will get especially attached to toys they can really tear into. And toys that make noise? Dogs bred to hunt will often hear it as a duck, offering a reassuring squeak for his owner. 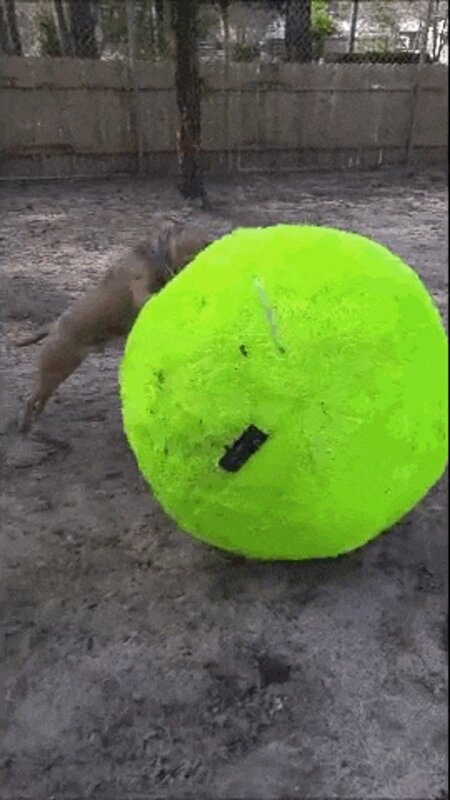 Other breeds, like Labradors and golden retrievers, are famously ball-obsessed. "I have a labrador and it's a comfort thing for him for sure," Liz Kover, dog trainer and director of Miracle Mutts, tells The Dodo. "Whether he is nervous or excited, whatever the case may be, he likes to have a ball in his mouth. Just holding something in his mouth is comforting to him." A special toy can also symbolize a special moment, almost always involving a human. "Like when you give your dog a toy and there is a moment that is happy and special with a toy and they associate it with a memory, which is debatable," Kover says. "It's like when you have a toy as a child that your uncle gave you for Christmas and you hadn't seen him for ages. Those moments have a lot of impacts for dogs and the impact can last forever." Do dogs ever grow out of toys? Well, emotionally, at least, dogs don't do a lot of growing. "Dogs are eternally toddlers," she says. "A human child who has a favourite toy will, at some point, reach a developmental stage where it's not appropriate to carry around a teddy bear anymore. We replace it with a charm in our pocket or a picture of a best friend in our wallet." "With dogs they never develop beyond that stage," Kover adds. "There is no reason to replace something that they are really attached to with something else. That one toy she has been attached to it - it's part of their repertoire of their comfort things that make up their world." But sometimes, a dog will get an attachment to a toy that is not a toy - an object that may be all kinds of inappropriate. How do you explain to your best friend that the toilet cleaner is a ... errr, business tool? Somewhere along the line, Kover notes, a dog had a very positive experience with a toilet cleaner. The only way to divorce them from it would be to counter-condition the dog - essentially making the experience a negative one, perhaps through loud noises, while introducing other objects as positive replacements (i.e., accompanied by treats and hugs). If you're sensing a common thread in all this, you're right: It's you. More than anything else, humans define a toy's importance. "It depends on what meaning you want the toy to have," Kover says. "A Kong is a great thing you can put in their kennel to take a nap or rest. So you would use that Kong to represent calm basically. A frisbee, on the other hand, means one thing and one thing only: action. Regardless of the kind of toy, all roads keep leading back to a dog's real best friend. "Many of the dogs seem more excited about toys when their owner plays with them," Jill Greene, director of the DoveLewis Blood Bank in Portland, Oregon, tells The Dodo. "The average dog gets a toy because they want to play. It's really just a way for them to engage with a human or another animal. So, a favorite toy could remind them of the good feelings they associate with playtime."